Blackheads, pimples, whiteheads and comedone are serious issues most women have to deal with at some point in life. While such problems are more prevalent in women with oily skin (of all ages) or women with extremely sensitive skin in some cases, the truth is no one is safe from these skin problems. 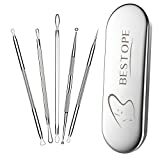 Men also experience blackheads and comedone issues, therefore blackhead removal tools are something to consider. Some may consider a blackhead removal tool some kind of torture instrument, but it is the safe and mindful way of dealing with the problem. While we all do enjoy some level of masochistic satisfaction as we squeeze and pop those pimples and blackheads, this is not a recommended practice. Moreover, such daily or weekly dealings can leave behind scars, inflammation or infection, no matter how clean our fingers are. One single huge, red, aching, horror-looking pimple can ruin your day completely. In addition, those pastures of blackheads that sometimes take over your nose are indeed something to dread passionately. Nevertheless, going professional and healthy about this is the right thing to do. Many people sometimes make their own DIY blackhead remover tool – pins and needles mostly – in the comfort of their bathrooms. However, just as you do not want your dentist to pull out that bad tooth of yours with a shovel, so you should at least consider investing in professional blackhead remover tools. Any tool to remove blackheads is, in fact, small metal tools, often used in professional facials to quickly extract a large area of blackheads and pimples. Their main advantage is that they are less invasive for your face than your squeezing galore. Particularly good for nose blackheads – the metal loops can be pressed into the side of the nose where no finger can get to, thus helping you get a cleaner skin without the damage of squeezing and popping. The most important thing about blackhead removal tools is to know how to pick them correctly and use them safely. Everything needs to be disinfected (the face, hands, tools, everything around you etc.). In addition, you need to experiment a little to get the hang of it. Blackhead removal tools are not hard to use, but you need practice. Now that we covered the basis of these tools, let us see together our top picks of blackhead removal tools of the year! In the chart below, you will find my top 10 rated best blackhead removal tools. For a more in-depth review of each product, please click on the "Read Review" link. 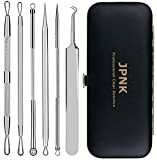 ​Why are These Best Blackhead Removal Tools Awesome/Valuable? Before we begin, we have to mention a few things, so you can make an educated choice when it comes to the best blackhead removal tools. First, as we emphasized above, you need to follow the rules of blackhead removal so you get the best results without damaging your skin. Keep in mind that you should speak with a doctor or dermatologist if you have acne-damaged skin. Pimple removers and blackhead extractors may negatively affect your skin if your acne problem is serious and needs medical treatment. In addition, if your skin is extremely sensitive and you get a rash, irritation, or even more pimples from a speck of dust or dirt, you need to check with your doctor before using such tools. They do press and puncture your skin, so it is better to be safe than sorry. Another important issue you need to take into account is the routine itself. Almost all blackhead removal tools on this list come together with detailed instructions, so you should be fine. Just remember to follow them to a tee. A clean, moist, disinfected skin is the canvas you can work with when using such tools. Make sure they are also disinfected (before and after use) and that you perform this cosmetic procedure in a clean environment. ​Many blackhead removal tools promise great results with little pain and effort. Before going shopping, however, you must know that you need to consider a few types of blackhead removal tools. Some work for some people better than others work for other people. In order to help you make an educated choice, let us see the main types of curlers that we recommend! 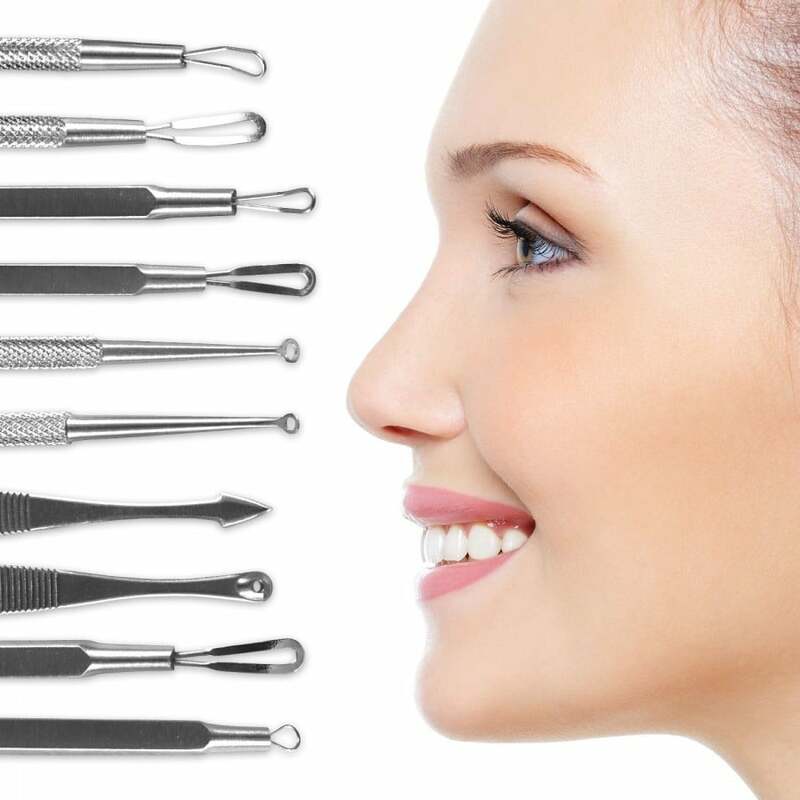 As you probably know, you can choose between classic blackhead removal tools kits (coming with multi-functional tweezers, comedone extractors, popping tools, and so on) and electric tools. The manual tool kits help you remove blackheads, acne and various blemishes, keep your face clean and smooth without redness or scars. ​The electric versions work with vibrations (intensive pressure and vibration that warm the skin) which penetrate the skin in depth, removing dead skin cells and deep clogged dirt. Other such electric tools work on vacuum principles, literally sucking the blackheads out of your skin. Each type of product comes with its own set of features and benefits, but first, we will look at the pros and cons of manual blackhead removal tools kits. Electric skin cleaners and blackhead/pimple removal tools are all the rage right now. They come various shapes and models and many have removable heads to match the problem you want to solve. While the technology may differ (vibrations vs. vacuum for instance), they are small wonders many women prefer to keep nearby in their bathrooms. Moreover, such tools come with more benefits than one. They act as cleaners and peeling devices, as they affect the skin in order to solve issues such as coarse and clogged pores, rough skin, dead skin cells, blackheads and pimples, dirt skin, and so on. As you can easily figure out, they also can lift the skin, soften it, smoothen it, rejuvenate it, eliminate some wrinkles in the process, and boost collagen (when EMS technology is involved). Some celebrities swear by these electrical tools. Some love the ultrasonic vibrations, other feel great after the vacuum effect. Many consider that these modern tools are somewhat healthier for your skin in comparison to the manual tools. With electrical tools, you can get the results faster and you need less skill and practice on how to use each tweezer or extractor. Moreover, electrical tools are less invasive. Vibrations, vacuums, heat, and anion flows are clearly less harmful compared to surgical grade stainless steel instruments you poke and press your skin with. ​However, this does not mean they do not come with their own set of pros and cons. Let see what they are so you can make a better choice! Upon testing each individual blackhead removal tool on this list, we factored in multiple parameters (besides getting the blackheads out, which is the main goal of our research): ease of use; level of necessary practiced skills; efficiency; safety; multiple skin benefits, and so on. Before we begin listing the common features of these blackhead removal tools, we have to tell you that we also factored in the possible side effects of these products: skin damages, rashes, burns, scars, and more. After all, we know our face skin is vulnerable to almost everything we encounter. It is enough that some have oily, acne-prone skin, clogged pores, or sensitive skin, we should under any circumstance damage our faces even more. People with sensitive, damaged skin should refrain from using these blackhead removal tools. If you have dermatological problems and you treat your acne or blackheads medically, you should ask your doctor before using any of these tools. No matter how safe and clean these tools are, if you have some sort of eczema, rashes, infections, severe acne, and so on, you need to check with a professional. Even if some electric blackhead removal tools allow lotions and creams to better penetrate the skin (making an argument for their use in the case of skin dermatological issues), you still need your doctor’s clearance. ​Now that we offered our recommendations, let us sum things up and see the common features of all ten best blackhead removal tools on our list! Effectiveness: We tried all these products and we found them to be effective in removing blackheads, whiteheads, and pimples. Of course, some work better than others, but we are extremely satisfied with the overall results. Hi-tech features: If you think about the manual blackhead removing tools, you can consider many of them to be of high quality. Since stainless steel is not enough, we focused on some surgical-grade stainless steel kits. The hi-tech features are more prominent in the electrical department, however. You can think about interchangeable heads, USB charging, EMS, PX5 grade waterproof body, wireless charging, ultrasonic vibrations, vacuum technology, and heat technology and so on. If you balance all these features with your finger-squeezing routines, you can easily figure out why professional tools are the way to go. Unisex: These tools work very well for both men and women – should they follow the instructions correctly. Age-independence: From teenagers wanting to get rid of puberty pimples and blackheads to adults performing skin care routines with multiple skin benefits, these tools do not discriminate based on age. They work well on young and adult skin alike. Of course, you do have to follow the instructions. Ease of use: Granted, using both types of tools needs some practice and skill, but the first time is also the hardest time. Once you used them once, you will get the hang of it and become better and better at it. It is not rocket science. Skin type independence: Surely, some people present more serious skin problems (if they have oily skin or sensitive skin), but all these tools work for all skin types. You may need a more thorough prep before use if you have dry skin or combination skin, but they will work just fine. Affordability: All these products are affordable. Granted, some are more expensive than others are, but you will be pleased with their value for the money you spend. ​While we chose to test some of the highest rated curling irons on the market, we still recommend you think about a few things before you go shopping. While you may have decided on one of the best curling irons for fine hair, make sure you have all the necessary information about each separate product. After all, you need perfect curls obtained in the safest of manners! As a rule, you need to think about your actual skin issues before buying any of these blackhead removal tools. For instance, if you get one blackhead from time to time, it is more sensible to get a manual kit and keep it close for the times a pimple or a whitehead threatens to spoil your look. 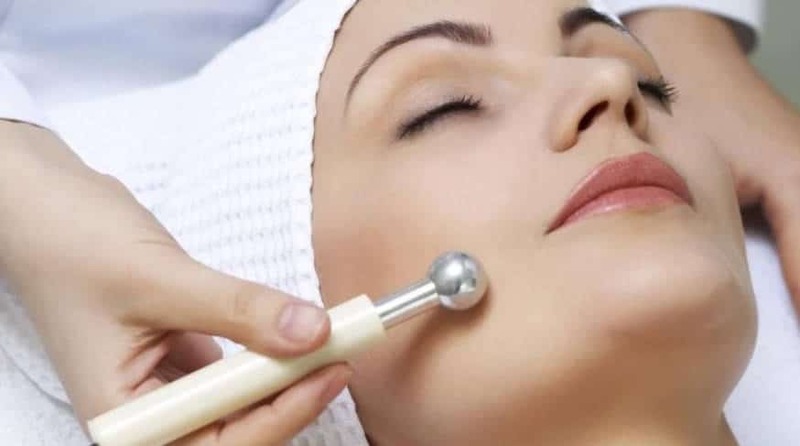 If you have the sensitive type of skin that gets pimples and blackheads simply because you went outside one day, you may consider investing in an electric tool. 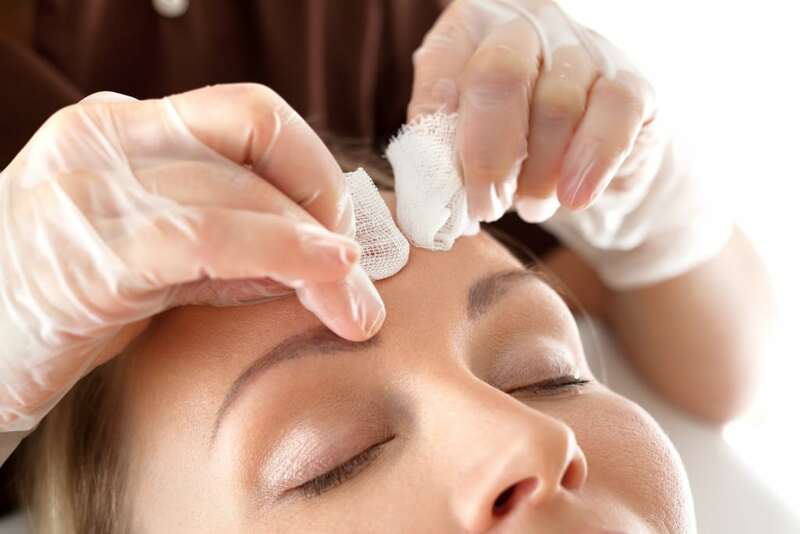 They also clean the skin cells, remove dirt and excess oil, lift the skin, boost collagen, and allow lotions and creams to deeper penetrate the skin. Manual blackhead removal kits solve localized problems – the areas on the sides of your nose and the nose itself, the blackheads and clogged pores on your chin, around your lips, temples, or the jawbone line. If you want, however, a more complex at-home face cosmetic treatment, you should think about the electrical tools. ​In addition, it seems that men favor the manual kits. 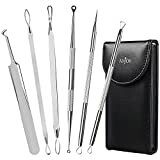 Just as they have their own nail kits sans nail polish and other tools, they also like having a pair of blackhead tweezers and comedone extractors at hand. Women prefer the multi-functional electric tools as part of their weekly beauty routines. As we said, the first time you try something you may experience some clumsiness or some poor results that get better with practice. It is also the case with blackhead removal tools. We do not emphasize on following the instructions for naught. In fact, this is the first thing you need to master before even touching your face with any of these tools. The most important step is to cleanse your face with warm water before using any of these tools. Professionals also recommend you hold a warm face cloth on the area you want to treat for a few seconds to open up the pores. Steam your face if possible over a bowl of hot water, or proceed with your blackhead removal routine after a hot shower. If you tried to squeeze a blackhead on dry skin with closed pores, you know that pain, scars, redness, blood, or irritations will follow. We strongly recommend you cleanse and soften the skin before using any of these instruments. It would be a shame to rate a tool poorly simply because you did not comply with the rules. Always – ALWAYS – work with clean skin, clean hands and clean instruments. Disinfection is mandatory. There is no shortcut here. Also, be gentle. This is not the pimple squeezing Olympics, so you should practice mildness. Some manual instruments are sharp, some work on pressure, some have sharp edges. Make sure you do not scar, bruise, damage, poke, or break your skin. Always clean your face and your tools after use and always apply a toner and a moisturizer after you finished removing your blackheads and pimples. ​Do not use these tools if you have clinical dermatological problems. Check out with your doctor before you try to remove acne scars, severe acne, eczema, or other skin issues. Blackhead removal tools come cheap by all standards – even the hi-tech electrical ones. If you consider the cost of a professional salon cosmetic treatment and the number of treatments you can perform at home, you will see you are on the winning side with these tools. The pricier ones offer great value for their money as well. If you do have serious issues with blackheads, clogged pores, dirt, excess oil, saggy skin, dull, rough skin, or pimple breakouts, you should probably invest in a professional electrical tool. ​As family friendliness is concerned, these tools are independent of your age, gender, and skin type. However, we strongly recommend that family members do not share the same instruments. Just as you have your own toothbrushes and your own nail scissors, you should also have your own blackhead removal tools kit. ​We emphasized on many important things while we tested and rated each individual blackhead removal tool, but you still need to ask yourself a few more questions before you start shopping. There are many FAQs answered on each of the reviews linked here, but let us resume some of the most important inquiries people have in relationship with these best blackhead removal tools! 1. Q: How do you keep these tools clean and safe? After use: sterilize the tools with hot water and alcohol; let them air dry; you can also use sanitizer gel after they dried. It should go the same with electrical tools. Wipe the head or any interchangeable head with alcohol or sanitizing gel before and after the use. Some more complex tool kits come with their own wipes and hand gloves. If you do not have gloves in your box, make sure you always perform the removal with clean hands you also sanitize with gel. Our recommendation is to also use surgical gloves and discard them after use. 2. Q: Do these tools work on hard-to-reach face areas? A: If by face areas you mean your lips line, ears, corner of your eyes, temples, or the jawline and below, we can answer that these tools do work. You need to be careful on how to use the tools (especially the manual ones), as these areas are more painful than your chin or cheeks for instance. If you cannot remove a blackhead from inside your ear, ask somebody else to do it – it is not wise to poke in blind with any type of instrument inside the ear or around the eyes for that matter. 3. Q: Can I buy extra removable elements for my electrical tool? A: Yes. Many electrical tools come with interchangeable heads, filters, sponges, and so on. Our advice is that you ask the manufacturer if he also sells accessories for the tool you want to buy. It would be a shame to run out of supplies and not be able to refill simply because nobody produces such accessories. This is why it is the best to read the reviews attached to each product on this list, as you will find more details there. ​These blackhead removal tools are awesome and valuable for a great number of reasons. We mentioned such reasons on each individual product review, but we are more than happy to summarize our top favorite awesome reasons why everybody should try these products to get amazing looks. Sometimes we literally feel mocked and abused by the blackheads and pimples breaking down our faces when less expected. Many women and men have to deal with oily skin, clogged pores, dirt embedded in their skin cells, acne, breakouts, whiteheads or zits – which also have the talent of showing up in the hardest to reach and the most painful areas of our face. ​These blackhead removal tools are not a whim. They should belong together with the toothbrush and nail scissors, as they are a part of our mandatory beauty and health routines. Since they all work well, you will get rid of those nasty dark area sides and dark nose in no time. This is a relief for all people, from both a physical and a psychological point of view. If you ever missed a date or an interview because you were ashamed of the craters or black hills spreading on your face, you know what we are talking about! ​You need to practice and you need to follow the rules, true. However, once you learned the basics, there is no stopping you. As long as you take the safety measures we referred to up until this point in the article, you will get rid of the blackheads, whiteheads, pimples, zits, and other intruders in no time. Teenagers and adults alike can learn quickly how to use these tools, no matter their type, and enjoy cleaner, smoother, shinier, healthier faces in no time! Professional skin care and cosmetic treatments are expensive and take a lot of your personal time. These blackhead removal tools come as a blessing for financial and time management reasons. Since you already cleanse your face and use masks and homemade treatments, you can up your game and get rid of pimples and blackheads in the same time. It can take only a few minutes and your facial is free. ​They bring a lot of value to the table because they can be used for all skin types, genders, and ages. Great Quality:100% STAINLESS STEEL Blemish comedone extractor removal tool kit. ​Before reaching the conclusion of this best blackhead removal tools top ten list, we have to focus on three more questions that are common among customers. We noticed people are preoccupied with some issues. While we touched these subjects on each individual review, we feel it is important to summarize them here as well. Q: Will the manual tools break if used improperly? A: The stainless steel manual blackhead removal tools are solid and flexible in the same time, so you can exert some pressure. Of course, you need to apply the right amount of pressure in order to keep your skin safe from wounds and damage. Prolonged use and the use of force will not likely break these instruments. So far, we have never heard of any instruments breaking in the hands of the users. However, they can bend, eventually, just like nail scissors or nail filers also bend after a while. Q: What should I do with my skin after I use any of these tools? A: We already said that you needed to gently cleanse your face and sanitize it. You can do this with astringent water, alcohol (while it will sting in many cases), a natural disinfectant, anti-bacterial, and cleansing toner (celandine tincture works miracles) or a disinfectant, anti-bacterial tea or herbal toner (chamomile and marigold comes to mind). You should also apply a nourishing mask to help with the healing, moisturizing, and protection of the skin. Q: Are all these products coming together with detailed instructions? A: You may find the instructions listed on the products’ online store page. Some come with written instructions in the boxes as well. However, if you do not find a set of thorough user guidelines, ask the manufacturer. If you do not know what tools to use for what type of skin problem, also ask the manufacturer. If you find accessories in the boxes that you cannot figure out what they are for, feel free to send your inquiries to the producing company. We tested this solution for some products and the people in charge were more than happy to send us detailed instructions, guidelines, warnings, and so on. This was our best blackhead removal tools top of 2018! If you want to turn your face into a glowing, healthy looking one, these may be the tools for you! Versatile and multi-functional, age and gender independent, skin type independent, safe and extremely affordable, these tools should be on your shopping list soon. One of the biggest advantages of these blackhead removal tools is that they are easy to use even by beginners. Try the product of choice a few times on easier-to-remove pimples and blackheads and in areas that are more manageable to get the hang of it. Next, move to more difficult areas and more difficult skin problems. Do not forget to prep your face before and after you used any such tool. You should get amazing results in no time. Cleanness and disinfection of your face, hands, and tools is mandatory. Some of the products on this list come in sets and kits. They also make great gifts for the women or men in your family who need to step up on their personal care game. All the tools – including the electric ones – are rather small and easy to carry. They make valuable assets for people who travel a lot, especially the ones who do not want a pimple to ruin their business meetings. Electrical tools also feature multiple skin benefits: skin lifting, wrinkle fading, collagen boosting, skin blood-flow improvements, and more. They smoothen the skin, cleanse it, lift it, lead to its radiant healthy look. These best blackhead removal tools bring a lot of value from a quality-price balance point of view. You may find some cheaper than others, while some are quite pricy. However, if you want quality for your money, these products are budget and family friendly. For best results, make sure you take into account your skin problems. Do not use the tools if you have dermatological problems or your skin is damaged, vulnerable, or under medical treatment. Do you want to get the best blackhead removal tools on the market? Check out each individual review we offered for each of the products on the list! If you have more questions, concerns, suggestions or feedback for us, we are happy to hear from you! Leave us your comments in the section below! ​See the best blackhead removal tools according to Amazon reviews!